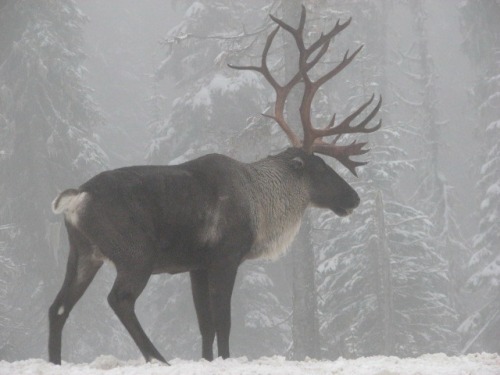 Did you know: Caribou and reindeer are the same species? (They… – Sig Nordal, Jr.
December 24, 2017 Sig Nordal, Jr.
Did you know: Caribou and reindeer are the same species? (They are different subspecies, though.) Found in Alaska and Canada, caribou can reach 3-4 feet tall at the shoulder, and both males and females grow antlers. Their hooves act like snowshoes to keep them from sinking in the snow. We wonder if this one perfected here is getting ready for the big ride tonight. 🎅 Photo courtesy of Steve Forrest. Next Article Christmas on Gendarmenmarkt square. Berlin, Germany.